When shopping, there isn't a better feeling than finding something you've been wanting on sale. All summer I have been searching for the perfect cut-off jean shorts, which I didn't think was going to be as hard as it has been. 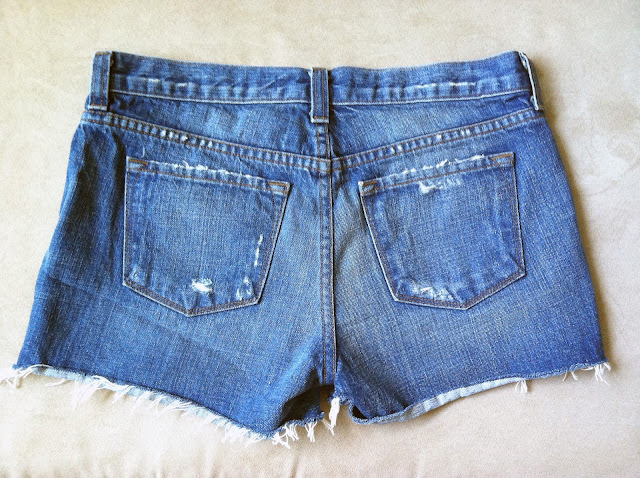 Although I liked a lot of the shorts I tried on, I found them to be too short or too distressed. Being in my thirties I wanted a pair that I could leave my house in or wear to more places than just to the beach. It wasn't until last week that I found these J Brand cut-offs which are the perfect length and have just a touch of distressing. Best yet, I got them at 50% off! Most stores are having sales with deep discounts to move their summer merchandise and make room for the new fall clothing coming in, so now is a perfect time to stock up on any summer clothing you have been wanting. Just remember to try on the items you want to purchase as a lot of times they become a final sale. I was lucky that these shorts were still in my size. I can't wait to wear them on my upcoming vacation! 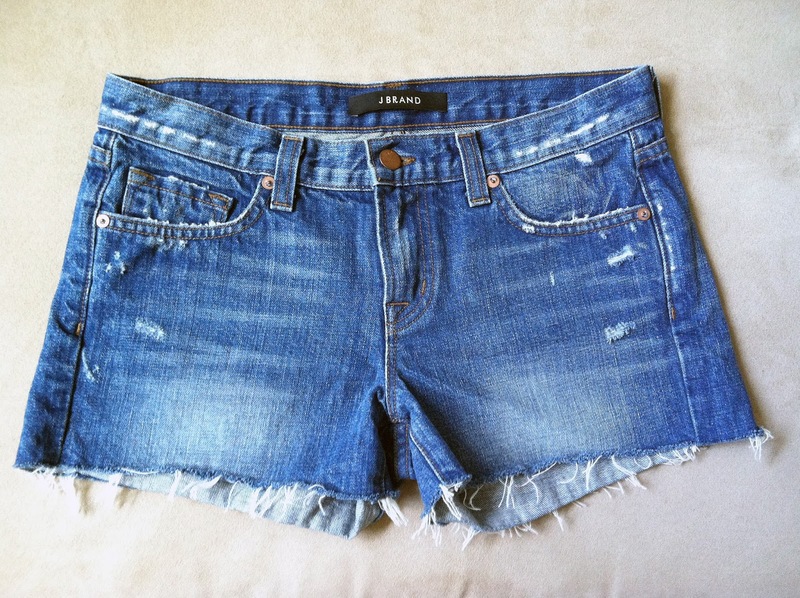 shorts J Brand, from National Jean Company. The whole store is 40-60% off!